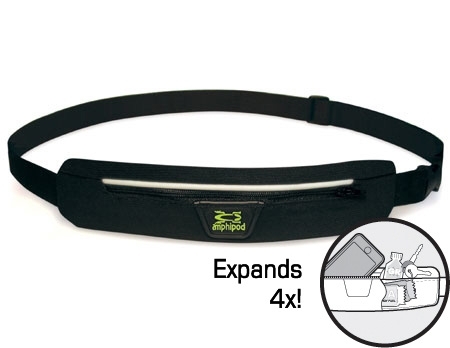 I recently recieved a new running belt to try out. 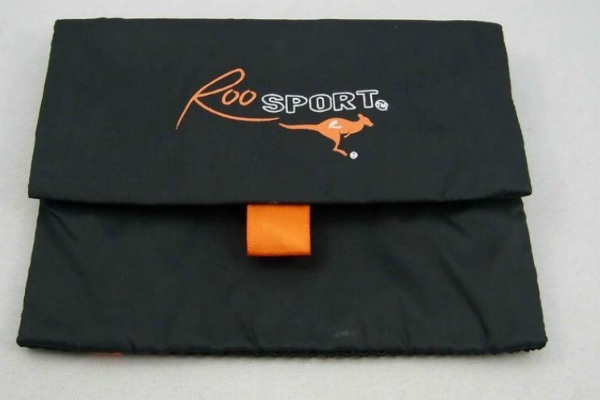 A beltless belt if you will from The Roo Sport. A belt without a belt you ask? How is that possible? A review on one new belt lead to a comparison of the different mobile feed bags I use in my marathon training and races. I've got my more marathons under my belt with the Amphipod as it's probably best equiped to carry the most gear with it's stretch main body, elastic bands and back-pack clips. You can load this thing up and it's not going to slosh around a lot. Just like Nathan they have other models that can carry liquids and goods at the same time. I prefer to use liquids on the race course and go light as possible. With a zipper, it's a lot like a fanny pack but the fashion police won't label you as a tourist or nerd. 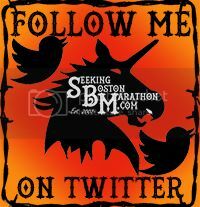 I've used this in both my Boston races among others. 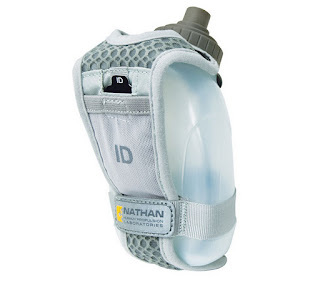 While this one is not a belt, I've been meaning to test drive a hand held water bottle for the long run where you're halfway between "no water is not gonna cut it" and you don't want to wear the army water (Fuel) bottle belt. As U2 would say, "I still haven't found what I'm looking for" as this one touts a one way water spout that keeps the water in the bottle until you go for a gulp. A good thing it was only water because on a short four mile trial, this thing was splashing water all over me. As Napoleon Dynamite would say, "It's a piece of crap it doesn't work!" I'll give it another try, but sorry Nathan, it wasn't working for me. will...a beltless belt, brilliant! Only recommendation to the good folks at Roo is to add an ipod eyelet. While it can easily fit your ipod, car key, and nutrients for the run, it's not meant to lug around your new iphone 4s--it can probably lug around a smaller/lighter phone, but my iPhone was a tight fit and I'm not sure it would handle quite that much weight. I've had Roo out for training runs and really like it. 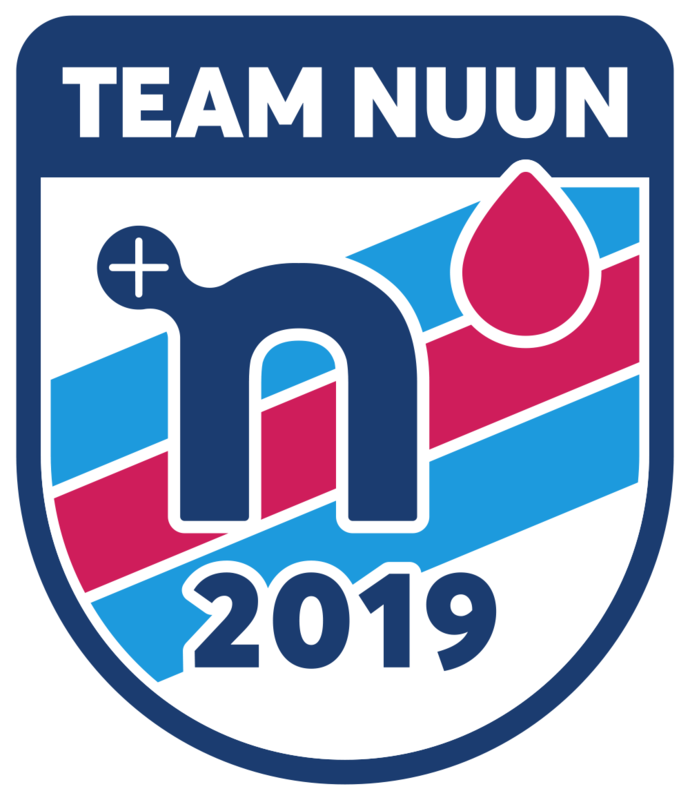 I'll want to test 'er out on a shorter race before marathon testing, but from my first couple rounds, I'd have to give it too thumbs up. Great product review! I've been looking for a belt that hold more food & fluid. Thanks!